Natural is no longer niche — but at Apoterra it’s been in our brand bloodline from the day we launched in 2012. We believe that nature is powerful and wise — that science is a tool to better understand nature, but does not dictate it. We can only improve ourselves and our future by improving the world around us. We do this by taking care of self first, working to elevate those around us, giving, and having a passion for environmentalism, animal rights and human rights. Our contribution to this idea of holistic elevation is a line of products that is sustainable and ethical, from beginning to end. Our mission is to help people discover healthy, radiant skin naturally through plant-powered skin care products and by giving them the insight and understanding of how to live holistically. We strive to deliver the highest quality, handcrafted skincare that is not only effective, but also eco-friendly, healthy, and that enhances their daily rituals through scent, color and texture. Here’s how we’re doing it. The key to glowing skin is through nourishment and enhancing your skin’s natural beauty, not fighting it. Our goal is simple: To deliver high quality, natural products that work. We believe that nature is the best source offer fresh, potent ingredients, that help solve some of our most complex skin concerns. We handcraft every product with care, using only fresh and sustainably sourced ingredients. All of our formulations are based in a blend of herbalism, aromatherapy, and scientific research to provide you with the highest quality plant + mineral based skincare. Beyond creating effective products, we want them to be within reach, good for you, and good for the planet. Skincare isn’t one-size-fits all. Using our color coding system and by taking our ritual quiz, you can customize your products to meet your unique skin care needs, and easily swap them in and out as your skin concerns change. We believe that the experience is equally as important as the performance of the products. Through aromatherapy and sensorial pleasure, our plant + mineral based products enhance not only your skin, but the daily ritual of applying it. The scents, textures and colors of our natural products are meant to help you create a self-care sanctuary that transports you away from daily stresses and provide you with the tools to indulge your senses. Our dream is for you to be connected to the farmers and distillers that produce the gorgeous raw plant and mineral ingredients we use to make our products. Our first step to achieving this dream is our batch # system — found under a special tab on each individual product page — which allows you can look up when your product was made, where each ingredient was sourced from, and which organization certified it. Most green beauty brands don't accept returns, because once a product is returned it cannot be resold. Not us, we stand behind our products and we want you to be 100% satisfied, which is why we offer a 30 day money back guarantee. 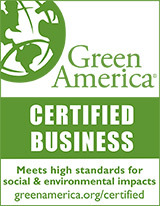 Green America and Leaping Bunny cruelty-free certified, and for every product that you purchase, we plant a tree! Perpetually stuck in the cycle of hormonal acne flare ups, red acne marks, and flaky dry skin, Dominique Caron found an answer to her troublesome complexion in her natural and holistic skincare line, Apoterra. The certified aromatherapist (NAHA and AIA approved), herbalist (trained by Ursula Basch, BChE), and daughter of a family physician, founded Apoterra Skincare (formerly Caru Skincare Co) in 2012 after hopelessly searching for affordable, natural and sustainable skincare that was effective for her dry, sensitive skin. Caron is now devoted to running an honest and conscious business that provides healthy, sustainable and effective skincare products. Current skincare ritual: Mornings I cleanse with our Neroli Clarifying Toner, I can’t go without a bottle of it! It keeps my skin breakout free, congestion free, hydrated and also nourished with powerful antioxidants and micronutrients” I follow it with a few mists of the Rose Hydrating Toner, and then massage my face with a few drops of our Rose Nourishing Serum. At night, I cleanse with our Aloe + Rose Clay soap, follow it with a few mists of the Neroli Clarifying Toner, and finish with the Night Clarifying Treatment. If I have been in the sun for a prolonged period of time, I will use the Night Regenerative Balm instead. About 3 times a week, I use the Hibiscus Exfoliating Mud at night after cleansing.